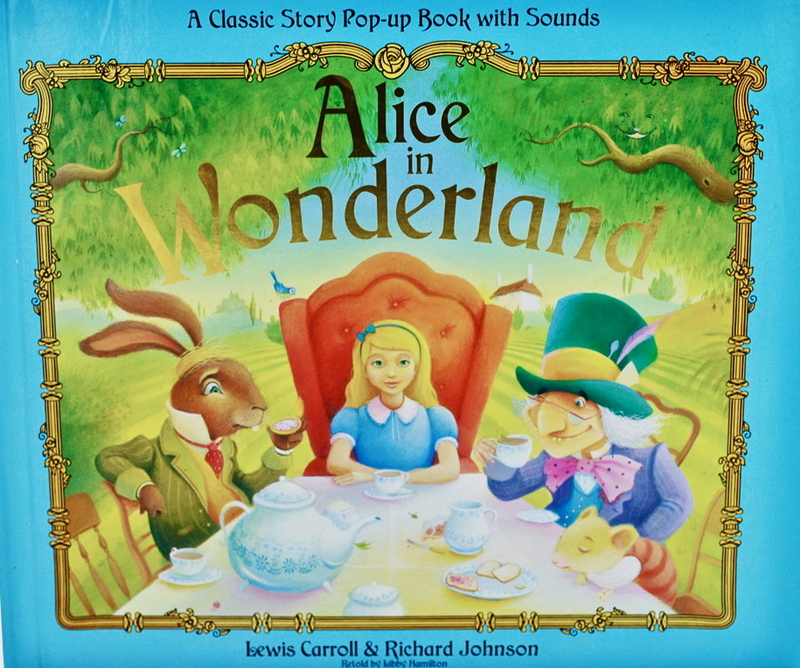 Alice in Wonderland: A Classic Story Pop-up Book with Sounds. By Lewis Carroll, retold by Libby Hamilton. Includes 5 large pop-ups and two gatefolds, and a sound chip with 5 sounds: one for each pop-up page. I was approached by Templar to help work on a new series of extravagant pop-up books that incorporated sound. Lewis Carroll’s classic is, for any illustrator, a real opportunity to get stuck into the surreal environments and variety of strange and wonderful characters. Follow Alice on her journey down the rabbit hole – meet the Cheshire Cat, go to the Mad Hatter’s tea party and hide as the Queen of Hearts comes to inspect her roses. This amazing book combines superb sounds, astonishing pop-ups and magical illustrations in a very special retelling of Lewis Carroll’s classic tale.